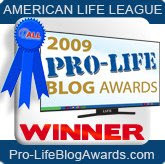 Apparently, the best way to disprove allegations of liberal media bias is to publish an article on abortionist Kermit Gosnell which is a complete puff piece for abortion advocates and allows them to blame prolife laws and lack of abortion access for Gosnell. Reporter Colleen Curry fails to quote a single prolife source while giving NARAL's Ilyse Hogue, Planned Parenthood's Eric Ferrero and the National Abortion Federation's Vicki Saporta paragraph upon paragraph of space. She also gets Gosnell's age wrong (he's 72, not 69) and spells his first name incorrectly (only 1 t). Also guilty is not spelled "guility." Is ABC News employing editors anymore? If Curry had taken the time to contact one knowledgeable source from the prolife movement she would have discovered that Saporta is full of it. Kermit Gosnell worked one day a week at a National Abortion Federation clinic in Delaware called Atlantic Women's Services. For Vicki Saporta to claim Gosnell was "an extreme outlier" when he worked at a NAF clinic and even got patients from that clinic shows just how much confidence the abortion industry has in the media to cover their rears. Abortion advocates know reporters like Curry won't take the time to actually get acquainted with the Gosnell case, read the Grand Jury report or interview a prolife source for their reaction to the quotes from the abortion advocates. If Curry had done more than a shred of homework she might have mentioned that Gosnell applied to for membership into the NAF and the NAF employee who visited his rundown clinic was horrified but didn't report him to the authorities.